Submitted by Holly Clegg • Recipe from Holly Clegg’s trim&TERRIFIC Gulf Coast Favorites. You'll love my pantry friendly and impressive version of this classic French sauce. Serve on a bed of lettuce for a light lunch or fabulous first course. Enjoy more recipes from Holly Clegg's cookbook, trim&TERRIFIC Gulf Coast Favorites. 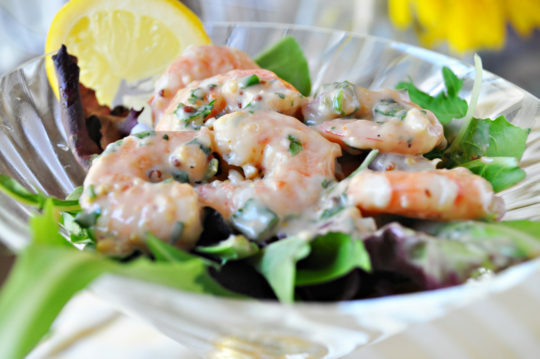 In another small bowl, mix together the remaining ingredients and toss with shrimp. Refrigerate until serving.